Enjoy the expansive lagoon view from this Dutch Island brick home. 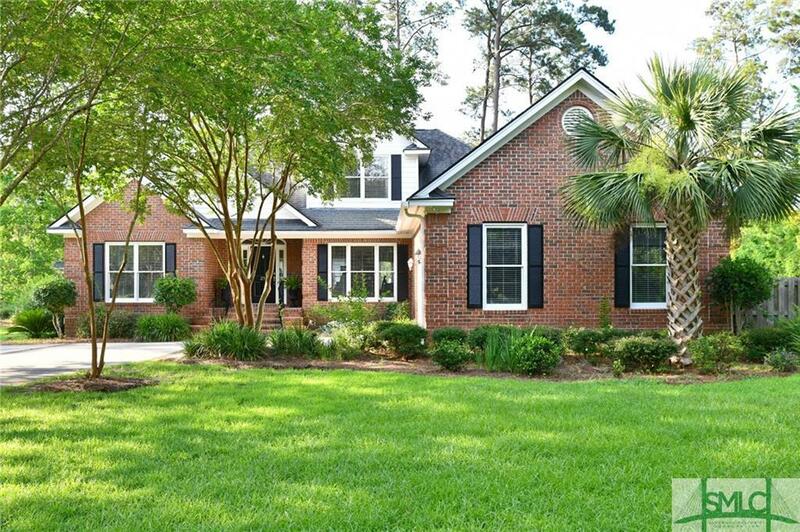 This 4 bedroom 3.5 bath home has been updated w/new granite & stainless appliances in kitchen. Home is open and bright w/high smooth ceilings. Master on main as well as 2 additional bedrooms. 4th bedroom or large Guest Suite is upstairs with private bath. Beautiful moldings, Hardwood floors, and new carpet in bedrooms. Backyard has fenced are perfect for garden area or pet area and expansive view of the large lagoon. Fish and catch a large bass or kayak from the backyard lagoon. Enjoy all the Amenities that Dutch Island offers including a deep water dock and boat ramp, pool, new playground and tennis all for $1100 per year.